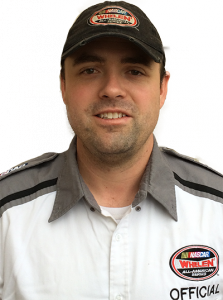 Elko Speedway announced today that Kyle Estes has stepped down from the flag stand to join Elko as a NASCAR Technical Inspection Official for the Super Late Model and Big 8 Late Model divisions. Kyle is no stranger to race officiating or driving, having done both at Raceway Park and Elko Speedway throughout the last 15 years. Kyle will work alongside long-time technical inspection officials Bob Drewry and Bob “Doc” Heine in the tech shed, with Bob and Doc leading technical inspection for the Mini Stock, Power Stock, Legend, and Thunder Car divisions.